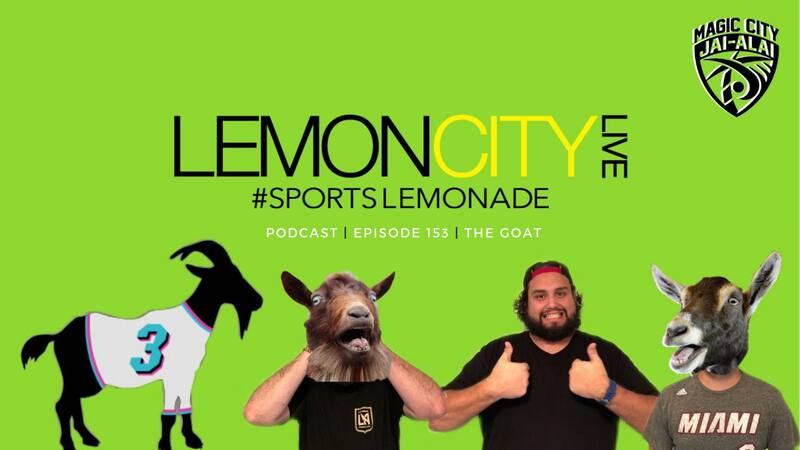 Home > Episodes > Lemon City Live podcast | Episode 153 – The GOAT Episode! Lemon City Live | Episode 153 – The GOAT Episode! We finally get a chance to reflect on Miami’s GOAT, Dwyane Wade! Are you team Brad Pitt or Leonardo DiCaprio?